You won’t want to miss our FREE email newsletter. 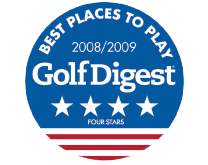 You will receive helpful golf tips and articles delivered straight to your email box once a month. We will also send you specials as they become available. Copper hills is a great course with up north feel! One of my favorite local courses. Beautiful up north feel with rolling hills, and numerous elevation changes. Challenging course with a number of forced carries. One of this areas best courses by far! Up north feel just 15 minutes north of downtown Rochester. Course knows how to manage pace with three beautiful 9 hole tracks. Can't wait to go back. This course is a hidden gem. No other golf course like it around Michigan. Every fairway is undulating and every hole is picturesque. Felt like I was on a PGA course on every hole. Great challenge.All greens are slopey and challenging. No easy shots. Bring your A game. Super course and great staff. Played the hills and marsh courses. Best Course I’ve played in a long time. This is one of the best Golf Courses I've played in a long time. I play on a travel league that travels from Flint to Brighton to Ann Harbor and up to Port Huron. You don't find to many great golf courses like this. I have played this course before and it has always been in great shape. I played the Hill and Marsh which by the course rating/slope was the most difficult combo. I found it challenging but not completely overwhelming. Marsh has at least 2-3 holes that force you to lay up off the tee due to dog legs or water in the middle. Copper Hills, Best of Golf Advisor, The Comeback Kid!